We all know law enforcement is not a job to be taken lightly. 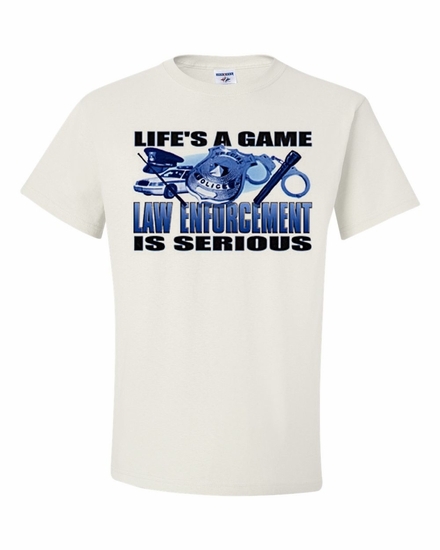 Let your officers know you appreciate them with our Life's a Game-Law Enforcement is Serious t-shirts and sweatshirts. Add a Life's a Game-Law Enforcement is Serious coffee mug for a thoughtful and unique gift. Remember� you found the Life's a Game-Law Enforcement is Serious Shirts at TShirtHub.com, where high quality came at a low price.